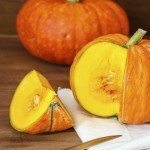 Perhaps this year you found the perfect pumpkin to make a jack-o-lantern or perhaps you grew an unusual heirloom pumpkin this year and wish to try growing it again next year. Saving pumpkin seeds is easy. Planting pumpkin seeds from pumpkins you have enjoyed also ensures that you can enjoy them again next year. Place the colander under running water. As the water runs over the pulp, start picking out the seeds from the pulp. Rinse them in the running water as you do. Do not let the pumpkin pulp sit in non-running water. There will be more seeds inside the pumpkin than you will ever be able to plant, so once you have a good amount of seeds rinsed, look over them and choose the biggest seeds. Plan on saving three times more pumpkin seeds than the number of plants you’ll be growing next year. Larger seeds will have a better chance of germinating. When saving pumpkin seeds, store them so they will be ready to plant for next year. Any seeds, pumpkin or otherwise, will store best if you keep them somewhere cold and dry. Next year, when it comes time for planting pumpkin seeds, your pumpkin seeds will be ready to go. Saving pumpkin seeds is a fun activity for the whole family, as even the smallest hand can help. And, after you properly store pumpkin seed for planting, children can also help plant the seeds in your garden.